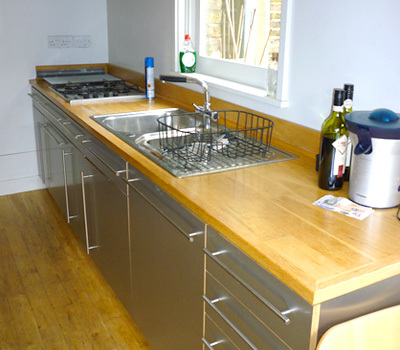 This is an example of a kitchen ‘make-over’, using the existing carcasses and work tops. 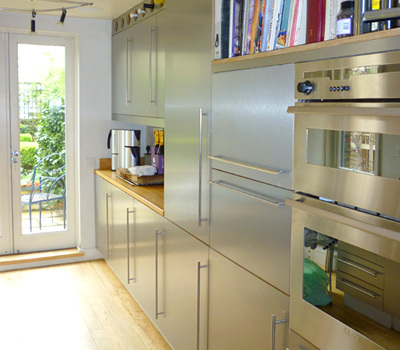 The clients were keen to add a more modern, utilitarian feel to their existing kitchen and wanted to achieve the effect of stainless steel, but without the difficulty or expense of working in that material. Formica has developed a product called DecoMetal; a laminate that has the look, feel and durability of stainless steel, so this was applied onto Birch plywood. 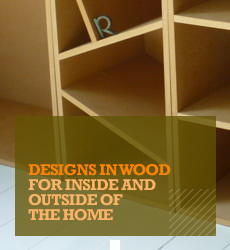 Birch ply was specifically chosen so that the edges could be exposed to give it that little extra detail of wood and steel thereby creating a quality finish. 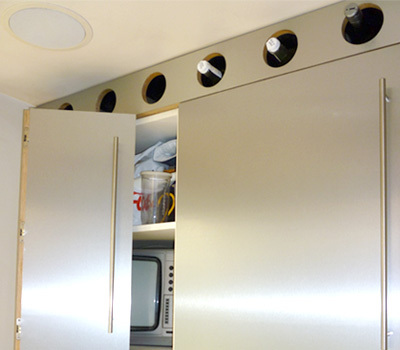 One cupboard door was cut in half and fitted with concealed hinges to accommodate the television and a space saving wine rack was created above the units.